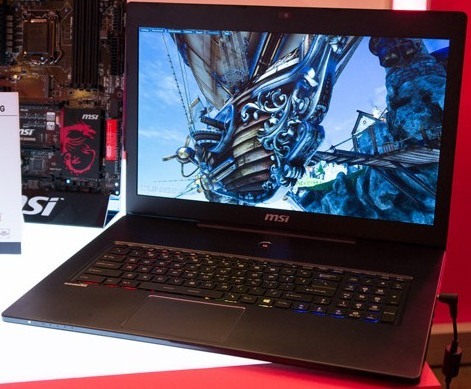 MSI GS70 Gaming Notebook Features 17.3-inch TN Full HD display of 1920 x 1080pixel resolutions. It is powered by Intel Core i7 Haswell processor with Nvidia GeForce GTX 765M graphics card. The MSI GS70 comes with 8GB DDR3 RAM(upto 32GB) and has a RAID configuration of two SSDs with a 750GB HDD storage. Connectivity and expansion options includes four USB 3.0 ports, Ethernet port, one HDMI and two Mini DisplayPort on the GPU, a microSD card slot. Other features includes SteelSeries LED keyboard (customizable backlight), 7.1-channeled sound system, Killer DoubleShot Ethernet for lag-free gaming. The MSI GS70 weighs 2.6 kgs(5.7 pounds) and is 0.85-inch thick. The backlight software helps in configuring the keyboard as three sections in three different colors. 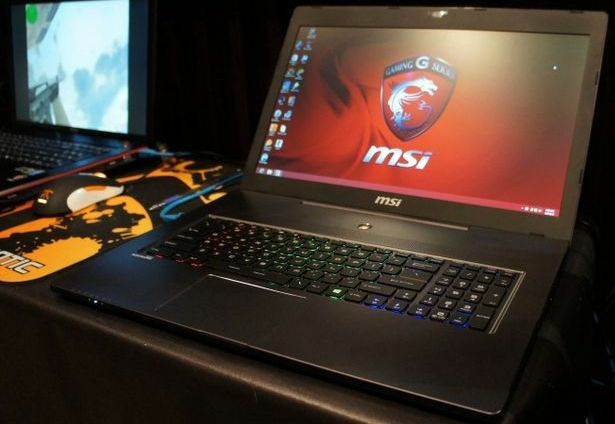 The MSI GS70 Gaming Notebook will be available from August 2013 for a price tag around $1700 USD. Tags:MSI GS70, MSI GS70 features, MSI GS70 specifications, MSI GS70 review, MSI GS70 details, MSI GS70 availability, MSI GS70 specs, MSI GS70 images, MSI GS70 pics, MSI GS70 pictures, MSI GS70 imgs, MSI GS70 price,MSI GS70 Network options, MSI GS70 Expansion options, MSI GS70 multimedia features, MSI GS70 Gaming options, MSI GS70 Sensor options.